This week, I made this little set for myself. The traveler bag is the same as this one. This link gives the credit and review of the pattern. I needed a protection for my new phone, and I tried to match both. 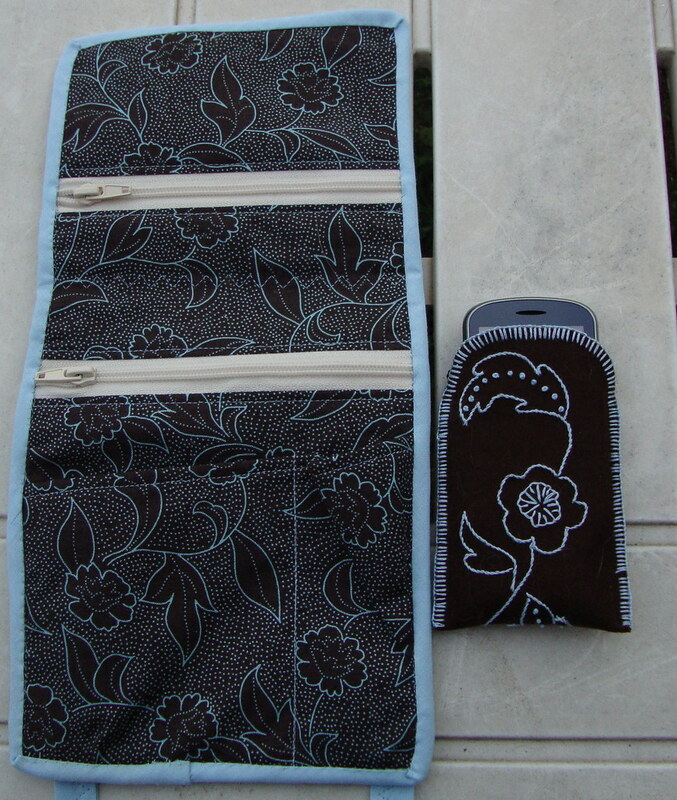 The phone pouch is made of commercial felt, with stem stitch and button hole stitch. A little change carrier would be nice... We'll see if I find the time. Very pretty, Vero. So nice that you can personalize your own things. I like the pattern and colors very well. These make a beautiful pair. I hope you get your change purse made to match too. You will be so fashionable when you travel. how very cool this set!! 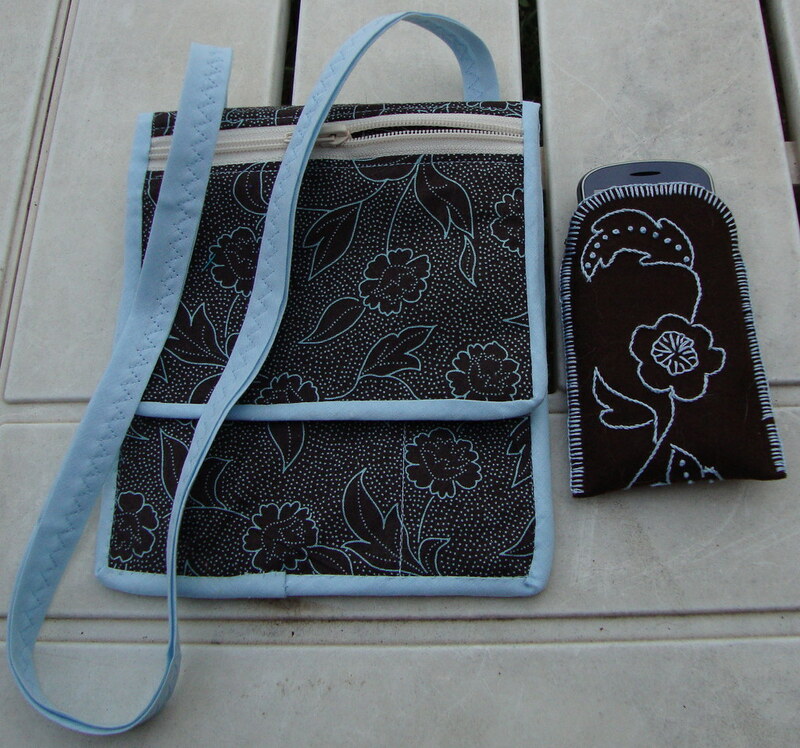 Very nice set - and very useful as well!! These are great! I'm sort of glad I never made a set like this...I think I would be totally addicted and end up with a set in every color and every material I have! It looks...addicting! !